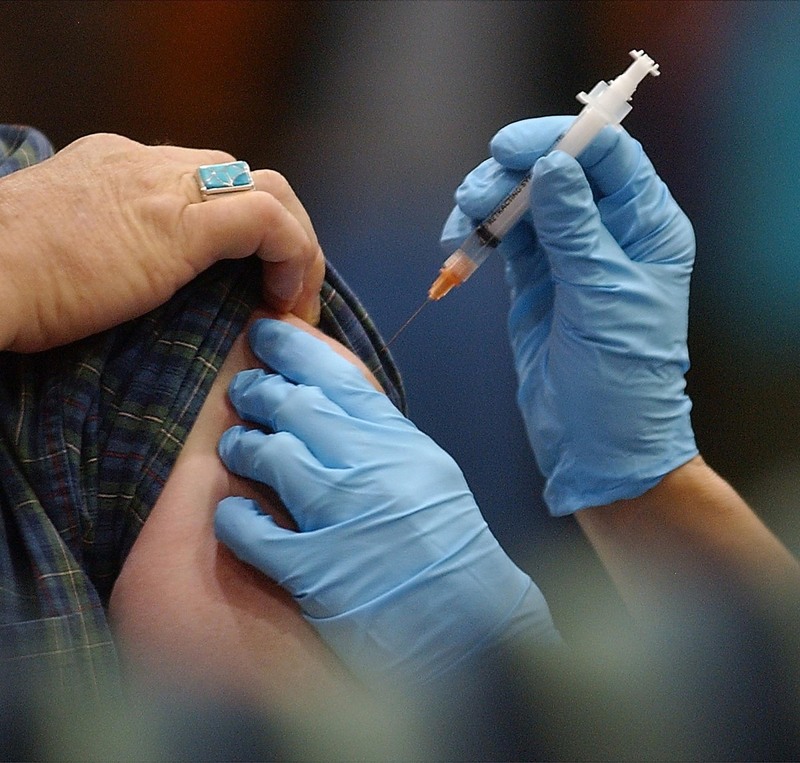 More people were killed by flu last year than in any season since the 1970s. Fewer than 4 out of 10 adults in the United States got flu shots last winter, the lowest rate in seven seasons and one likely reason why the 2017-2018 season was the deadliest in decades. Reports released Thursday by the Centers for Disease Control and Prevention provide new details outlining the severity of the past flu season during which more people were killed than any seasonal influenza since the 1970s. Flu vaccination is the main way to prevent sickness and death caused by flu. But last season, vaccination coverage among adults was 37.1 percent, a decrease of 6.2 percentage points from the previous season. That’s the lowest rate for adults 18 and older since 2010-2011. • 49 million people were sickened by flu, roughly the combined population of Texas and Florida. • 960,000 people were hospitalized, more than the total number of staffed hospital beds in the United States. • 79,000 people died, the average number of people who attend the Superbowl. The previous high for a regular flu season, based on analyses dating back more than three decades, was 56,000 deaths. The drop in vaccine coverage could also have contributed to last season’s severity, said Alicia Fry, chief of epidemiology and prevention in CDC’s influenza division. Flu vaccine, while far from perfect, reduces illness and serious complications, such as hospitalizations and admission to intensive-care units. “I think that really discouraged a lot of people from getting vaccinated,” said Schaffner, who also noted that the early data was incorrect. It’s too early to know whether people are “still carrying that around in ther minds,” he said. It’s too early to predict what this coming flu season will be like. Flu activity is low, but there has already been one child death reported. Last season, flu killed 183 children, the highest number since federal health authorities began tracking pediatric deaths 14 years ago. Last season, people may have thought it wasn’t worth getting the vaccine, said Cindy Weinbaum, deputy director of CDC’s immunization services division. This year, the CDC has created new tools for clinicians, including videos, on making a strong flu vaccine recommendation, she said. That includes identifying and addressing any questions or concerns in plain and understandable language.